Apple and Salesforce bring together the best devices for business and the world’s #1 CRM<br/>Enabling Powerful Apps and Customer Experiences Exclusive to iPhone and iPad<br/>San Francisco, California — Apple and Salesforce today announced a strategic partnership that brings together the number one customer relationship management platform and iOS, the world’s most advanced mobile operating system, enabling powerful new mobile apps for business. 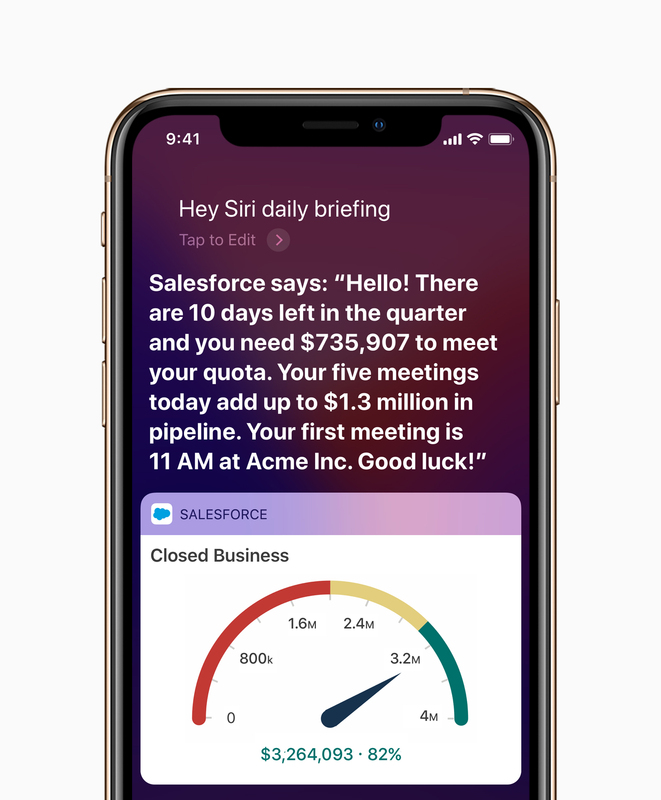 Working with Apple, Salesforce is redesigning its app to embrace the native mobile platform with exclusive new features on iOS. The companies will also provide tools and resources for millions of Salesforce developers to build their own native apps with a new Salesforce Mobile SDK for iOS, and a new iOS app development course on Trailhead, Salesforce’s free, web-based learning platform. <br/>Attendees of Dreamforce 2018 can get an early look at the new Apple and Salesforce offerings in the Salesforce Campground (Moscone South Halls ABC) or the Trailhead Area (Moscone West Level 1). For more about the partnership, please visit <a href="https://www.salesforce.com/apple" target="_blank">salesforce.com/apple</a> or <a href="https://www.apple.com/business/partners" target="_blank">apple.com/business/partners</a>. <br/>Salesforce, the global CRM leader, empowers companies to connect with their customers in a whole new way. For more information about Salesforce (NYSE: CRM), visit: <a href="https://www.salesforce.com/" target="_blank">www.salesforce.com</a>.